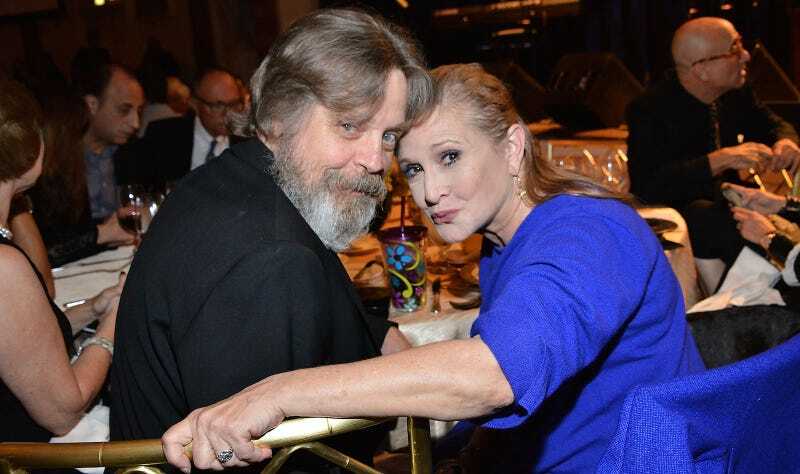 Carrie Fisher’s death is heartbreaking to so many because her openness and honesty about her life made her seem like someone you’ve known all your life, an intimate and wonderful old friend. The words of her actual old friend supports some of those feelings. You know, she was 19 years old at the time. I was a worldly 24. So I was thinking, “Oh my God, it’ll be like working with a high school kid.” But I was just bowled over. I mean she was just so instantly ingratiating and funny and outspoken. She had a way of just being so brutally candid. I’d just met her but it was like talking to a person you’d known for ten years. She was telling me stuff about her stepfather, about her mom, about Eddie Fisher — it was just harrowing in its detail. I kept thinking, “Should I know this?” I mean, I wouldn’t have shared that with somebody that I had trusted for years and years and years. But she was the opposite. She just sucked you into her world. Once at lunchtime she said, “You should try on my jumpsuit.” I said, “The one-piece white jumpsuit? You’re what, 5’2”? I’ll never get in!” She said, “Just try.” I put on that Princess Leia zipper jump suit and it was so tight I looked like a Vegas lounge singer. If that wasn’t ridiculous enough, she had me put on one of those bald cap masks with the Bozo hair and glasses and nose and then she walked me around the back lot.